Believe it or not - you are not the only parent who asks this question! Hopefully this picture helps you get started. PMHA also recommends getting your child a straight bladed stick in the beginning so that they can choose which way they prefer to shoot. 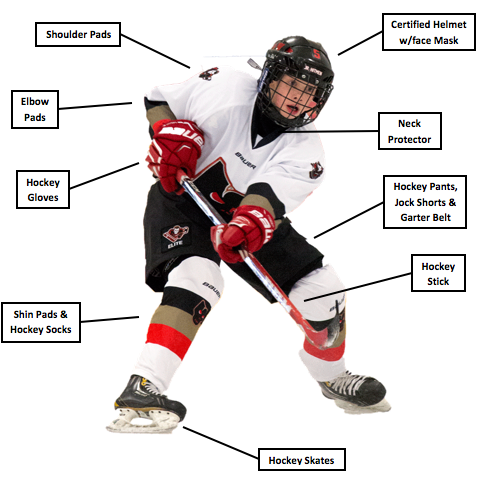 Do not assume just because your child is right handed he/she will play hockey that way. Many children shoot opposite of what you may think, and a straight blade allows them to figure out what is most natural and comfortable to them.